WINTER winds a blowin - Cold outside - Bees keeping warm inside. 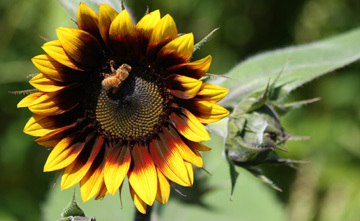 Honey Bees do not hibernate, they cluster together in the hive during the cold wet and windy winter months. .. disengage their flight muscles and vibrate to keep the cluster warm . A good beekeeper will have treated them for the Varroa mite which will dessimate a colony. They also need to have enough food stores going into winter. All honey and pollen collected after we pull our honey in first week of July, is left for our bees winter survival. Mid March & on a warm day (maybe a bit later this year) we will be checking our colonies for winter survival. Bees will move up during the winter months, consuming food stored in the upper reaches of the hive. We will, when necessary, reverse boxes to give our bees room for the explosion of spring brood. 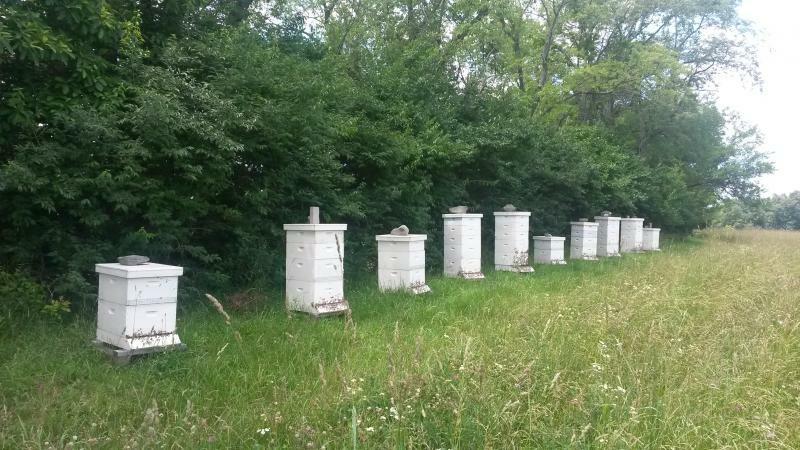 Early April will have us adding "Honey Supers" which is where the bees will store excess honey.